For this stage ( 8months to 1 year+) this has been the BEST! 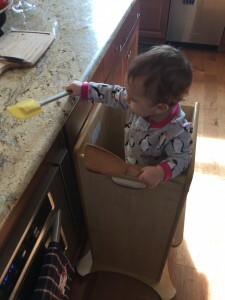 Baby b loves to be in the kitchen and watch me cook. 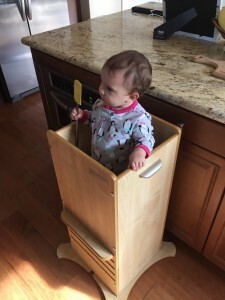 This Luca Little Helper is so she can stand counter height, safely and secure to see what I’m doing and eventually help. I can’t recommend this enough. It truly has been incredible during breakfast and dinner time preparations. It will grow with her as she gets taller and I suspect we will be using this on the daily for years to come.